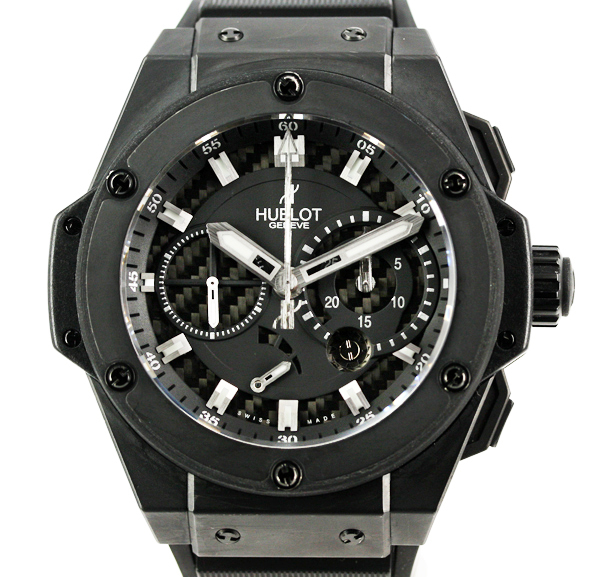 Watch Description: Titanium case with a black rubber strap. 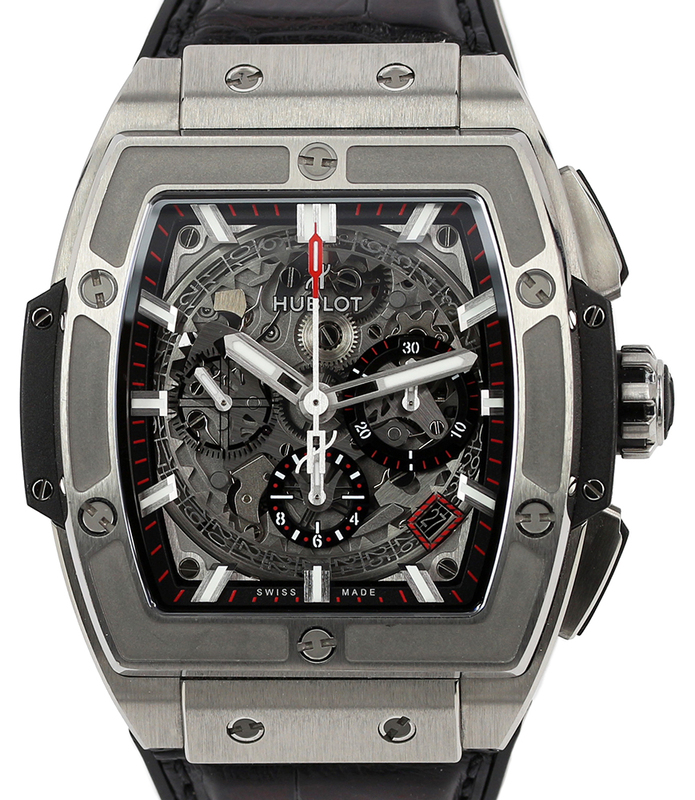 Skeleton dial with luminous hands and index hour markers. 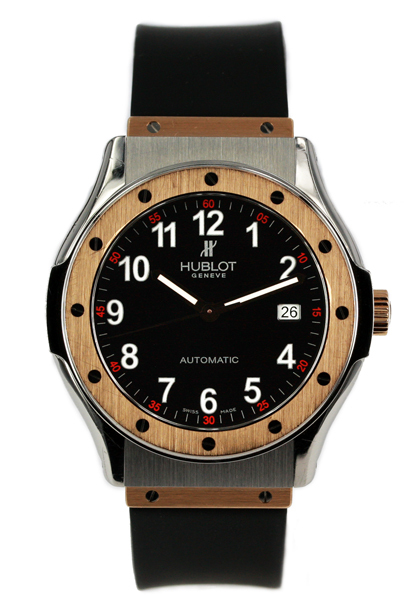 Date display at 4 - 5 o'clock positions. 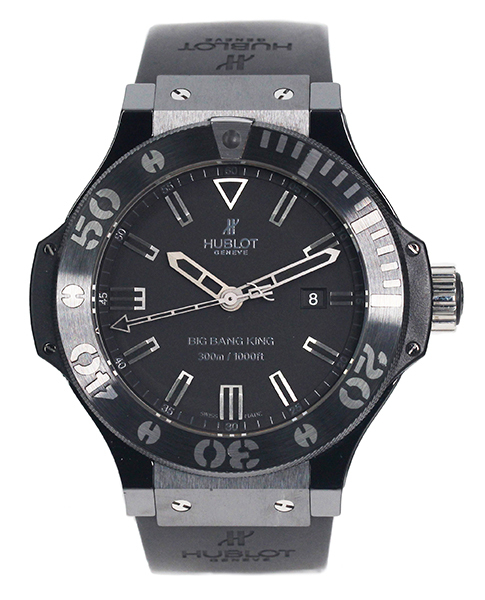 Chronograph - two sub-dials displaying: 60 second and 60 minute. Watch Description: Titanium tonneau case, silver dial, date display between 4 and 5 o'clock position. 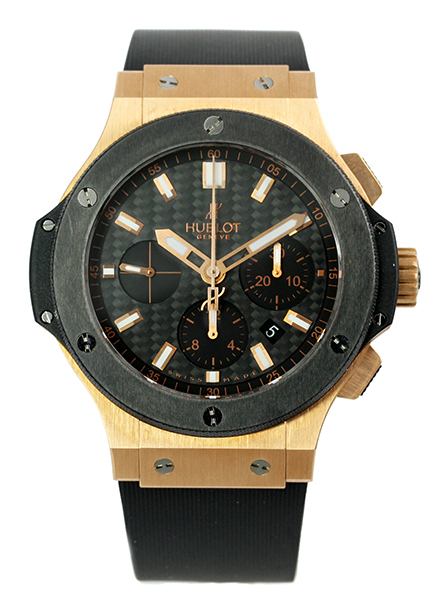 Chronograph - sub-dials display 60 second, 30 minute and 12-hours. 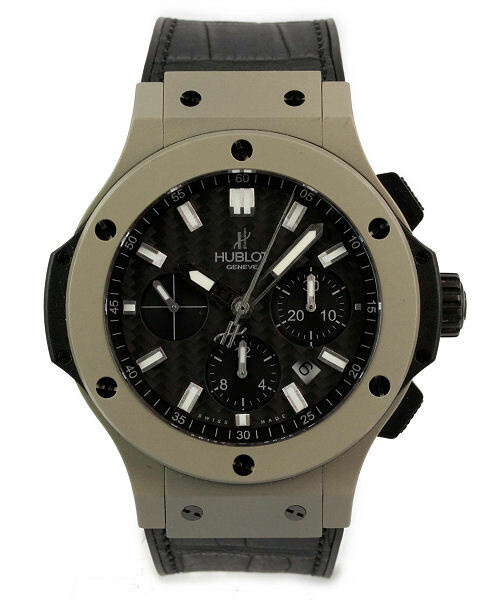 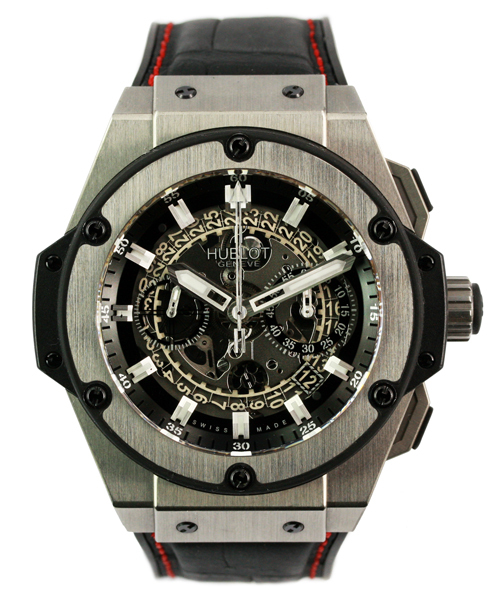 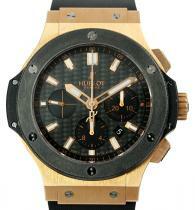 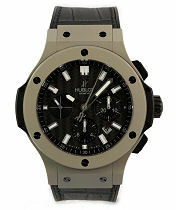 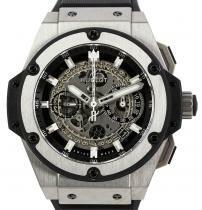 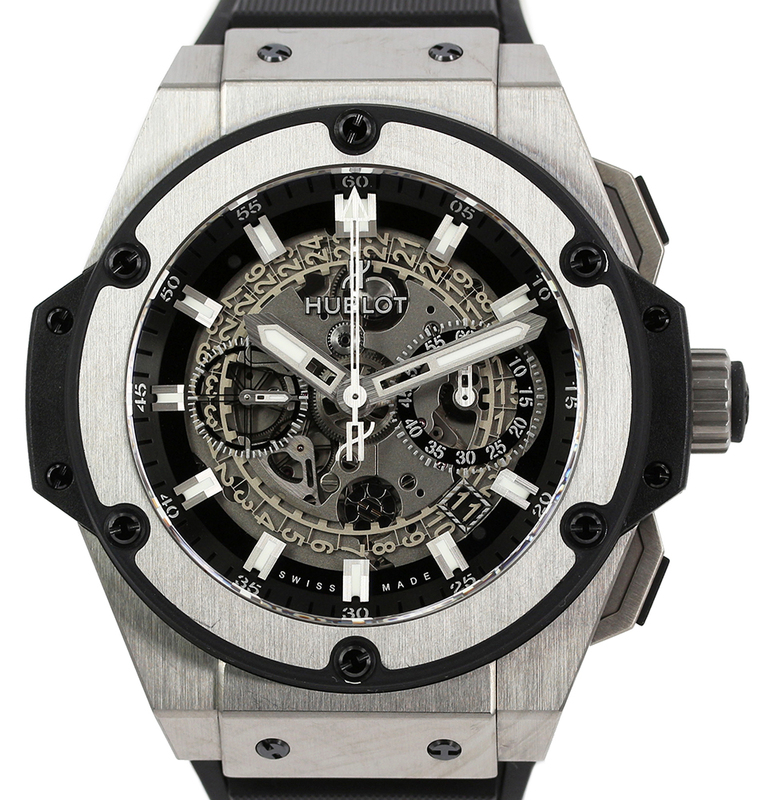 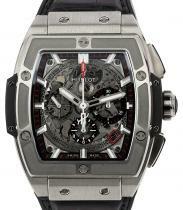 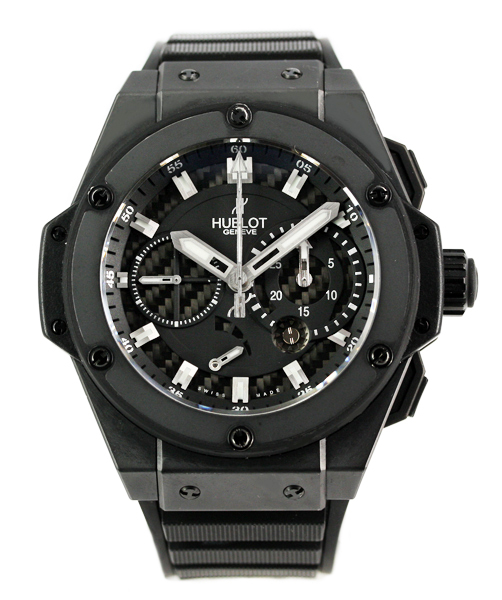 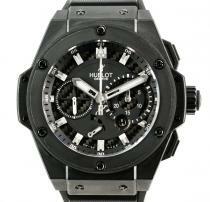 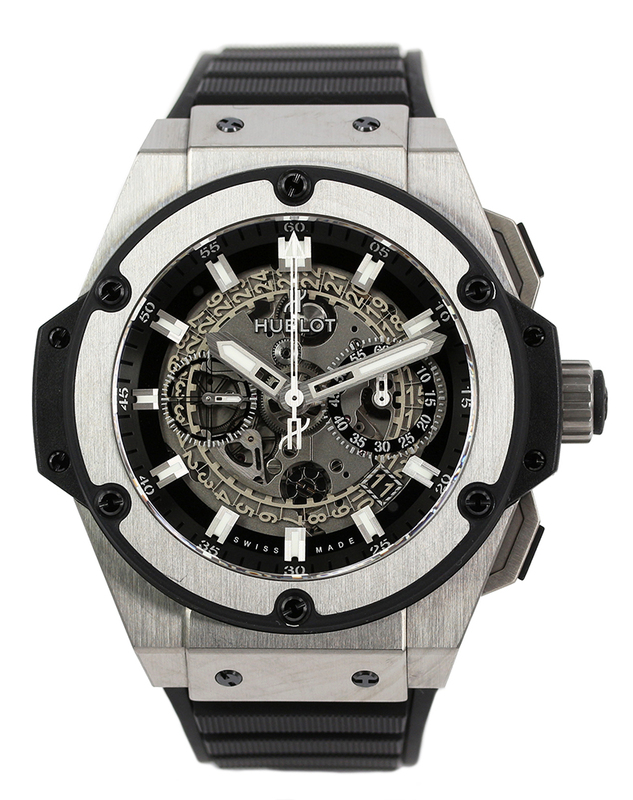 Hublot Cal HUB4700 automatic movement, 50hr power reserve. 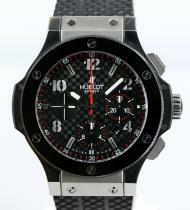 Black alligator strap with deployant clasp. 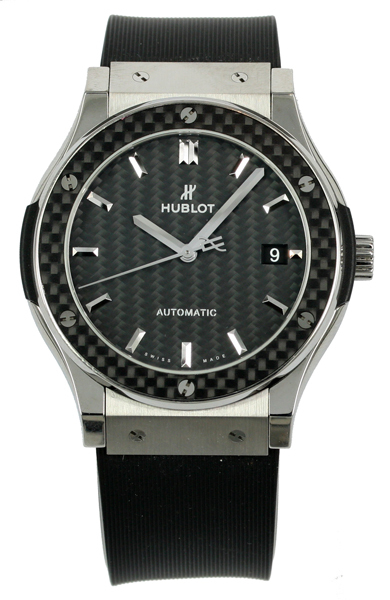 Watch Description: Black ceramic case with sapphire crystal glass, black dial with unidirectional rotating bezel. 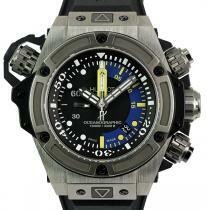 Water resistance up to 1000 meters. 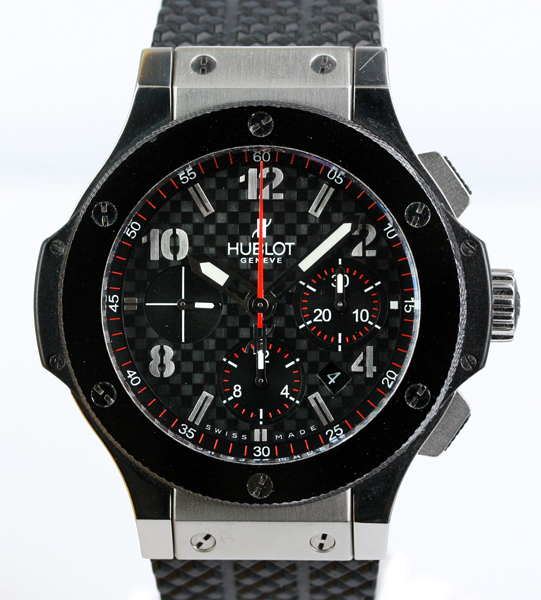 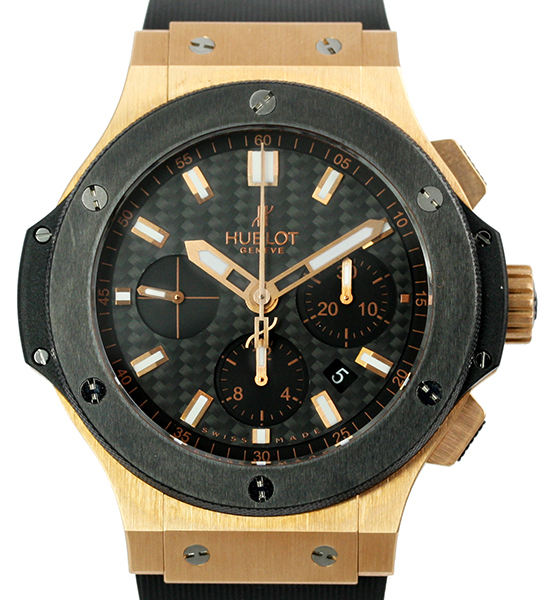 Watch fitted with Hublot black rubber strap and black PVD deployant clasp. 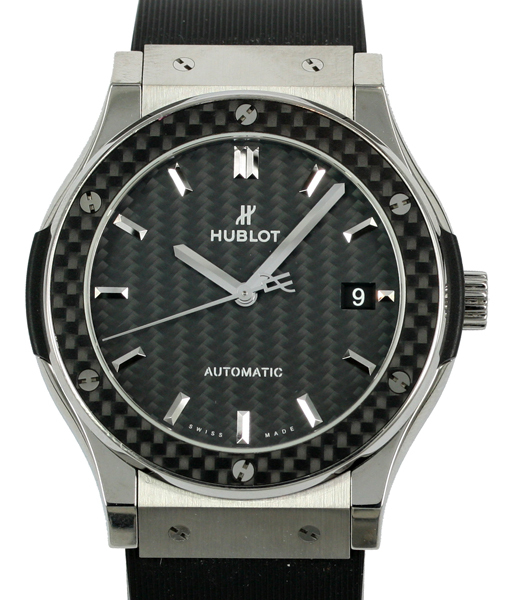 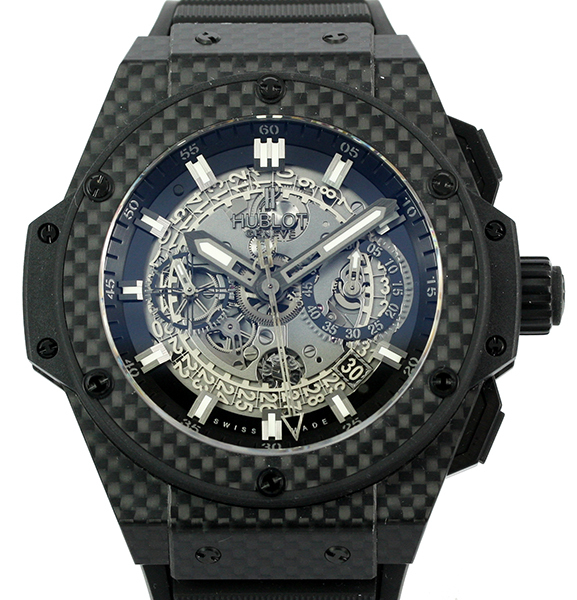 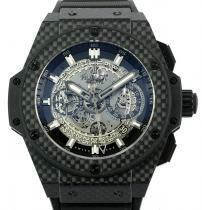 Watch Description: Black carbon fibre case with black dial and sapphire crystal display back. 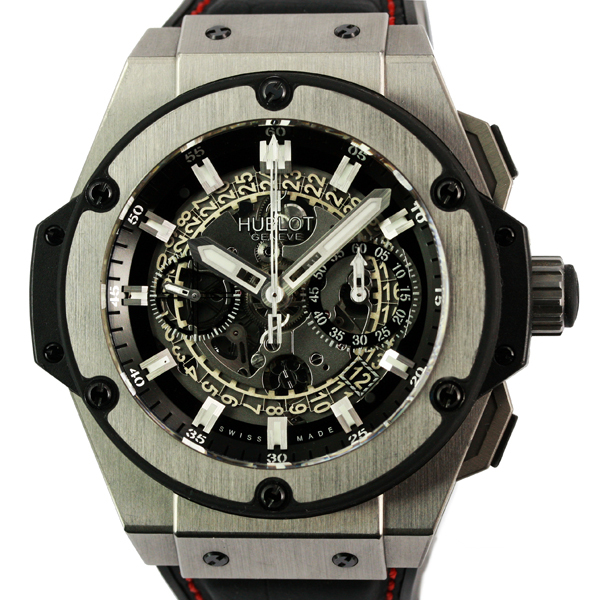 Automatic chronograph (in-house Unico movement) with date, hours, minutes and seconds. 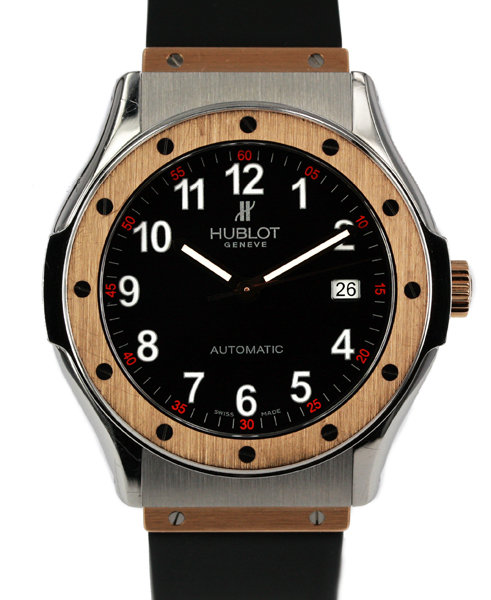 Watch on a rubber strap with folding clasp. 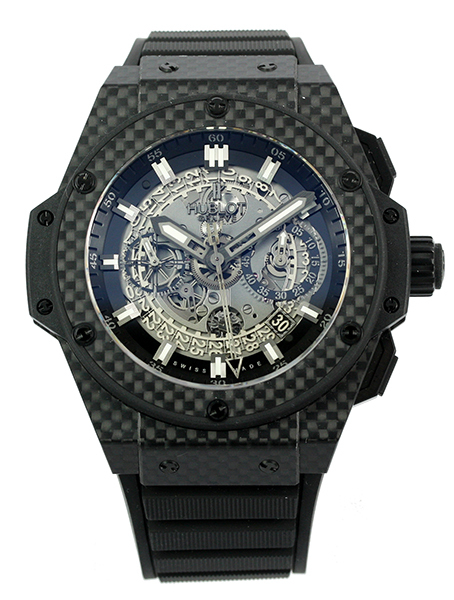 Watch Description: Limited Edition of 1000 pieces. 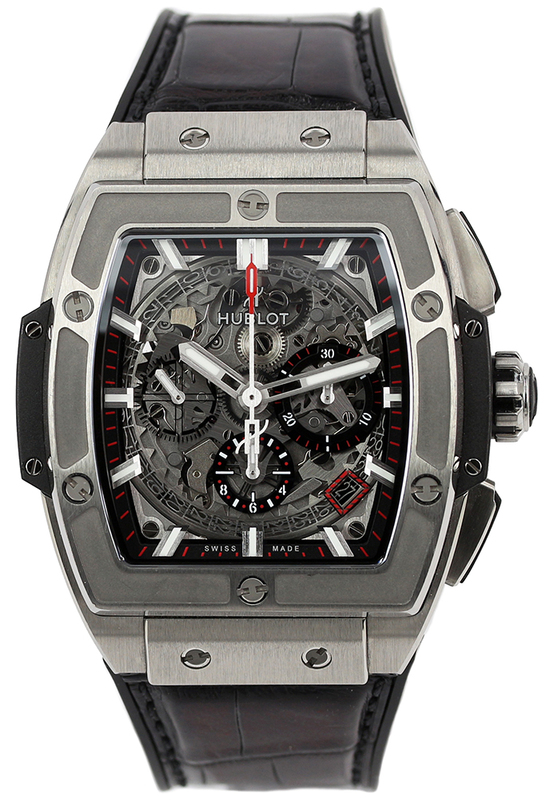 Automatic self-winding mechanical chronograph. Satin finished titanium case, micro-blasted titanium bezel. 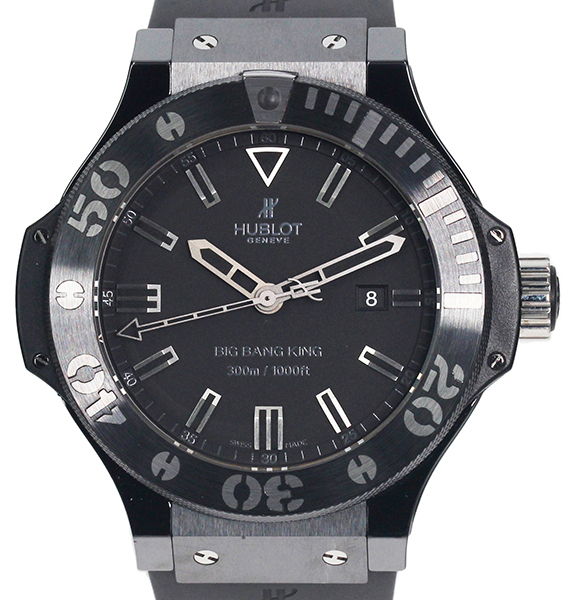 Black/blue dial with date aperture. 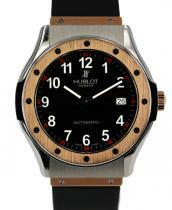 Rubber strap with quick release system. 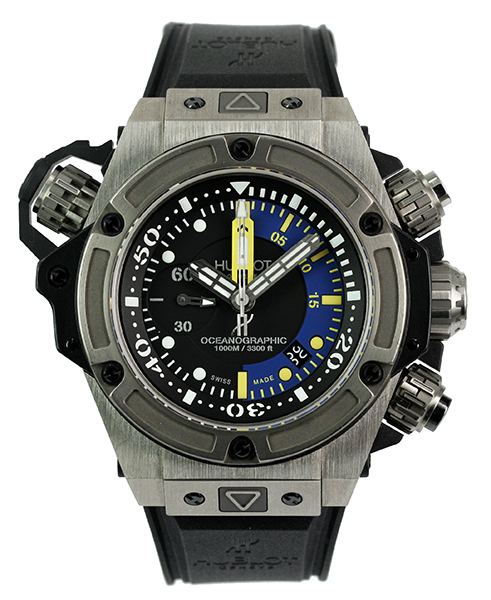 Water resistant to 1000m. 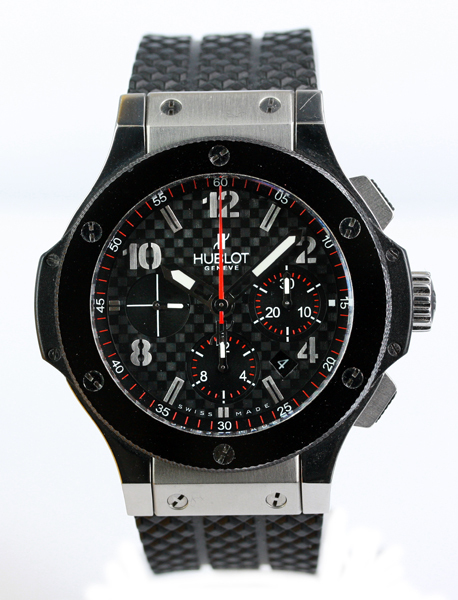 Watch Description: Chronograph with Power Reserve Indicator, Black Ceramic, Carbon Fibre Dial with Index, Automatic Cal HUB 4143, Black Rubber Strap with Deployant Clasp.